Don’t touch my hair, don’t touch my vibe...unless you’re one of these two bomb natural hair gurus. 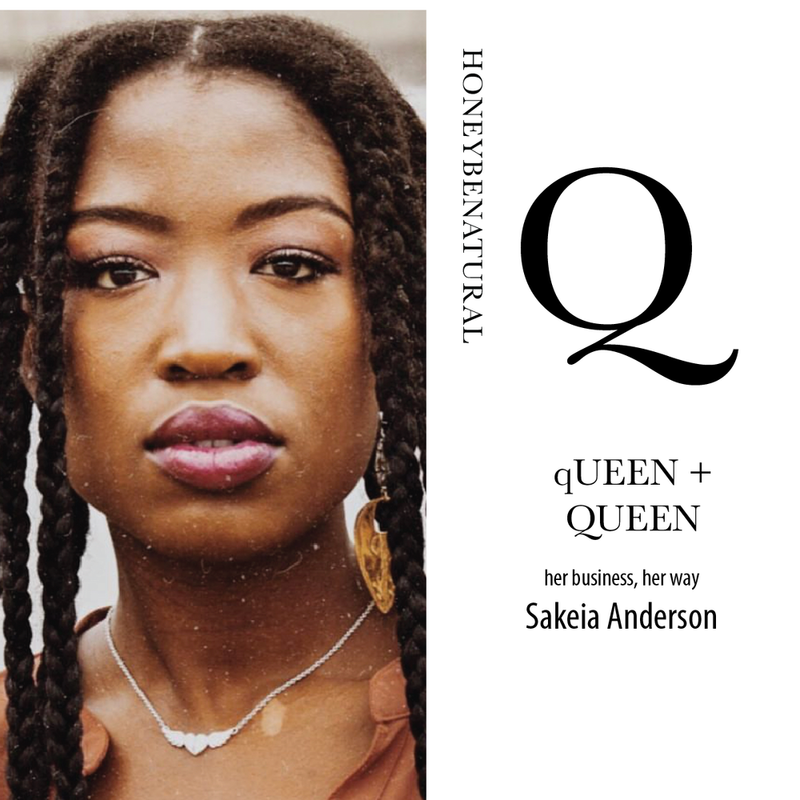 Sakeia Anderson, a natural hair stylist and creative director based in Dallas, Texas, has always had a passion for people and styling hair. It’s no wonder that she uses her God-given gift to motivate others to make the time to accept all types of love; especially the one for yourself. Tiffany Anderson, a natural hair expert and author in Oakland, California, believes that once you allow yourself unconditional love, you’re allowing tremendous growth. Reassured by reflection to unlock authenticity, Tiffany challenges people to decide to be live truthfully and freely; especially when it comes to their hairstyles! These are two amazing individuals who take hair care and turn it into motivating self-care...we are grateful for their ability to see beyond the style. Say hello to Sakeia Anderson and Tiffany Anderson, the Queens of the Natural Hair LIFE! What inspired you to start your business? What motivates you to keep going? : Inspiring women to love themselves through adversity and beyond. What does your company stand for? : My company stands for love. I believe that when you love yourself you will share what has propelled you to grow. The growth will inspire and motivate other women to do the same. How do you create the life you want? : I create the life I want by inspiring women to be their best self by loving the hair that they were blessed with. What makes you HUMAN? : What makes me human is that I spent 3 years in federal prison for bank robbery and I chose not to let that negative choice define me. I chose to let it make me become who I am destined to be. A passionate individual who enjoys inspiring people to become their authentic self. What are three things your want people to know about self-love? : Self -Love is not defined by what you have but by who you are. What's something we can incorporate today to start loving ourselves more? : Today you can make a decision to be honest about who you are from start to finish. What has been your own journey with self love? : Reflection has been my journey with self love. As long as I wake up and reflect on how far I have come I am able to love myself honestly. Leave an affirmation for readers.....: Love your hair and follow your curls!